Do you want to be part of a UEFA Champions League Club? Would you like direct access for your players to the professional academy system and first teams in Europe? Olympiacos California offers an opportunity for players to get a serious look for inclusion into the first team academy of Olympiacos FC. Unlike all other clubs claiming an “affiliation” or “partnership” with a professional club, Olympiacos California is actually part of the professional youth system of Olympiacos FC. We are a TRUE organization integrated into the Academy system of the professional team. 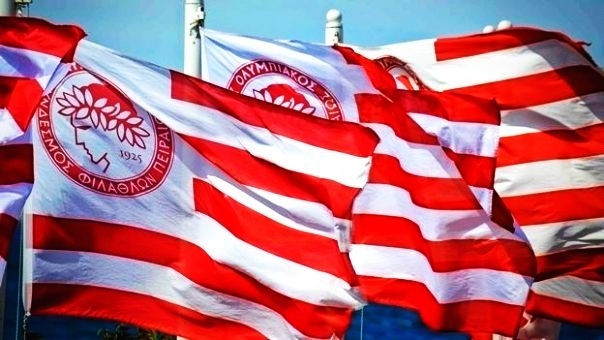 Our players wear the actual uniform, train in the same curriculum, are assessed with reports directly to the Olympiacos FC organization, are invited to play and train with the actual club and our organization is on the Olympiacos website! We follow the same philosophy and our coaches are trained by the professional team coaching staff at the training center in Athens, Greece. We don’t just wear a patch or claim some sort of arrangement---we are the real deal! 1)Part of the organization of a top 25 world class rated professional club. We are on the mother club website and are true members of the organization....not just an affiliation! 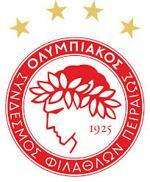 2)All players benefit from the Academy curriculum direct from Olympiacos FC. 3)A professional culture and environment throughout the club to match that of Olympiacos FC. 4)Olympiacos coaches train our club coaches and youth locally, two weeks per year. 5)Our coaches train at the Athens,Greece facility every year alongside Olympiacos professional coaches. 6)All players are invited to train at the Athens, Greece facility. 7)Exceptional players are sent to Athens for an assessment to join the professional Academy. 8)All players can tour the first team stadium and watch a professional match as guests of the club. 9)Teams are invited to play in tournaments which include youth teams such as Manchester City, West Brom, Arsenal, Borussia Dortmund, IFK Goteborg, FK Partizan, etc! Throughout the year, all our players attend trials to evaluate young athletes. The best out of these athletes will attend main trials at the OLYMPIACOS Training Center in Athens, Greece and receive evaluation by competent officials of the OLYMPIACOS Academy. The ultimate goal of Olympiacos FC is scouting, training, evaluating and promoting young talented players globally, both male and female.